Network Rail's major works on Bromham Road Bridge begin tomorrow, Monday March 4th. This phase of works, which run until 18th April, involve the closure of the road westbound, out of town. Eastbound traffic, towards town, is not affected. Mayor Dave Hodgson and Bedford Borough Council have been pressing Network Rail over a long period to do all it can to minimise the disruption that will be caused by these works. 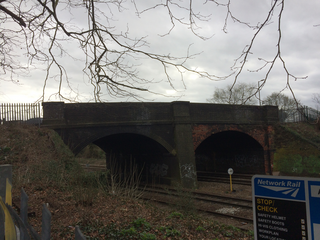 Network Rail's replacement of Bromham Road Bridge, which will see bridge closed to traffic altogether this summer, will cause significant disruption. And Mayor Dave has expressed his frustration that not only will residents and visitors have suffer major inconvenience over an extended period, but Bedford is due to have a downgraded rail service after the work is finished. "We'll keep making that case, and in the meantime we will keep the pressure up on Network Rail to minimise disruption and inconvenience."